It’s always nice when the “work” week begins on a Tuesday. I woke up feeling somber and melancholy, longing for easier days. I received some very sad news last night – my closest friend from college let me know that her father passed away that morning. This was especially difficult to hear because for one year during school, I nearly lived at this girl’s home. Her parents took me in and treated me as I were their own, and I mean that. They made sure I ate, that I felt comfortable, and I even had a key for a while. They didn’t need to do that – I did have a home of my own, but it was a fairly long drive from school and while I didn’t necessarily mind the commute, their home was much closer to Cal State Fullerton as a whole, and of course I was the best friend/sorority sister of their daughter. Her dad was a very nice, very humble man who was already retired by the time we were in college. As I recall he worked in the aerospace industry as an engineer (I would swear that everyone in my life as I grew up worked in that industry at one point or another), and I’ve always wondered if he and my father-in-law ever crossed paths, but I’ve never actually found out. Janell and I eventually drifted apart due to a silly argument back during my last year of school, but I’ve never forgotten the kindness of her parents. It broke my heart to hear the news last night, and of course my thoughts and prayers are with my “adopted” family. This is also the final day of summer for my 12 year old son, who will begin middle school tomorrow morning. He’s very nervous (as am I) – it’s hard enough to be 12 and go to middle school, but to top that off with having to start down one friend due to a sudden move over the summer and a bit of social awkwardness (and braces), it’s bound to be nerve wracking. As for the mom, I’m just nervous because I’ve already had some challenges with the school over some items in his 504 plan. (My son carries a diagnosis of High Functioning Autism – which in his case requires just a few classroom accommodations – hence the “504 plan”) The bottom line is that I want him to do well, just as any other parent would want, and I don’t care to use his plan as a crutch, but I do expect it to be respected and followed. Simple. Yet not so much. *sigh* Anyway, tomorrow is the big day. My youngest starts preschool again as well, but somehow that’s not nearly as scary! Middle school is a big step, and I remember my first day very well. Middle school began in 6th grade for me, which is a year younger than my son. I was actually 10 years old when school started that year (I have a November birthday). I’d already decided what I would wear, at the time not realizing that no matter what I chose, I would never look nearly as cool or put together as the 8th graders, and I was probably going to be ridiculed for not wearing a “designer” label on my jeans. That would become an almost every day issue as the year went on… Honestly I was shocked when I walked on to campus for the first time. It was the first year I’d had my own locker, and I can remember being awake for much of the entire night before the first day of school, worrying about what I would do if I couldn’t remember the combination or get my locker to work right – those silly combination locks were sometimes touchy! As I entered the hallways lined with lockers, the swarm of kids was nearly impossible to navigate, and while I was excited to see any face I recognized from elementary school, it was clear that school was never again to be the safe, friendly place it once was. I remember seeing kids kissing around campus for the first time, and my shock at their open affection for one another. I suppose I was a bit sheltered, but shouldn’t any kid be at 10? It was only as I grew to the point where I knew my way around campus along with where to hang out at lunch (back by the band room) and where to avoid (the girls bathrooms at ANY point of the day and yes – that made for some very interesting RUNS home after school – thank goodness I only lived a block away!) that made the school year bearable by any means. I stuck to my circle of friends, found a common interest in some sort of crazy rock band with a silly name, and spent my days wondering how I could meet and marry a drummer that was a good ten years older than I. Thank goodness for Duran Duran, because in the three year period where I felt the least like any of my fellow 6th, 7th or 8th graders, I focused more on the band, less on my own awkward moments. (which were plenty!!) Good times! I’m sure my son will eventually get the hang of middle school. The situation at our school is fairly unique in that it’s only 2 grades of kids – yet about 1500 kids go to the school, and they work on a revolving schedule. That means the kids have 6 classes to go to every day, and each day they begin their teaching periods in a different class than the day prior. For example tomorrow they’ll start in homeroom – that class stays the same, and then they’ll go to their first through sixth period classes (they switch rooms for each class of course). The next day they’ll report to homeroom for 15 minutes of announcements, then go to their 2nd period class, then 3,4,5, 6 and end the day in their 1st period class. So every day it continues from there. It’s the only school in our area that does this, and while they tout all sorts of studies that say it works the best for all students, for my son in particular it’s a total nightmare. It’s the whole “Autism…I need a routine that stays the same” sort of thing. Eventually he’ll see the pattern, but let’s just say that for the first 3 weeks of school or so, we’re all liable to need medicating, and by “we” I mean ME. So yes, I’m nervous. I’m hopeful that he’ll settle in with a decent group of kids, and that by November I’ll be laughing at how worried I was in September. Wish me luck! To begin with, writing this blog for what is rapidly coming up on a year now has been a learning process. When Amanda and I started writing, I’m not sure if either of us had a clear vision of what we were hoping to accomplish. For my part, I was just hoping to be able to come up with a new topic each day. Hopefully we haven’t rehashed topics too many times, and given the fact that our reader count has gone up significantly since day one, I have to believe we’ve done fairly well. When I sit down each day, I rarely know exactly what I’m going to write about; and I never know for sure how it will be received. Playing that game each day is fairly akin to Russian Roulette – a game I have never envisioned myself playing. Topics that I would believe to be fairly benign end up being firebeds for discussion, and other topics that I would like to believe get people thinking and talking (or responding in comment) seem to welcome the sound of crickets singing on a summer evening. I’ve also learned that for every opinion that I have on any subject, there are 50,000 other dissenting ones – and for each of those opinions, they have 100,000 examples to prove why I’m wrong. I love those because, truth be told here – I’m no Duran Duran expert. I’m just a fan, I don’t know it all, hell – I don’t think I know MOST of it. I just like to write and I hope you all like to read. If I get one of you saying that you agree or felt something for what I wrote – I’m in good shape. For the rest of you that insist on continuing to teach me a little something, I swear I’m learning as fast as I can. I’ve found that I do have feelings, even after all of these years, and when someone comes to the blog purely to put Amanda and I down….it actually does still sting a bit. I thoroughly enjoy those moments when they have the balls to tell us how incredibly ludicrous we are and how we must not even be fans due to something we said or how we said it, but then won’t even sign their own name to the comment. That’s amusing, mostly because here we are, putting ourselves out there for scrutiny (which comes very often), and yet we’ve got some yahoo announcing how lame we are – and yes – we DO publish every comment whether we like ’em or not – but they wouldn’t dare sign their own name. I guess those are the breaks when you’re writing a blog. Not everyone is going to like you or agree with you, and while I don’t like it, I’m learning. I’m also learning that it’s not always welcomed to argue my point with said commenters. I’ve driven more than one person away from the blog by doing so. Apparently being “touchy” about comments is not allowed. *sigh* I’m learning! I do feel badly if I’ve driven someone away from reading though, because obviously, that’s not what we want. I think though, that it’s sometimes very difficult to find the boundary between someone not appreciating something I’ve written versus feeling as though that person doesn’t like me. It’s something I’ve had to really learn how to deal with this past year, and while I am by no means good at it yet – I’m getting better. The bottom line here for me today is that this blog was created out of my thoughts, and of course Amanda’s thoughts – for whatever day it is that we’re writing. It’s all about what being a fan is like on any given day, and how all of that mixes with our everyday lives. Sometimes, we get it all right, and other days – we get it completely wrong for everyone except ourselves. Sometimes, we have the right sentiment and the wrong words, and still other days we even have the wrong sentiment! Our goal here is to share what we’re thinking – but in doing that we never wish to harm anyone with our thoughts or words. It’s sometimes a very difficult and thin boundary. In telling why we have stayed, we asked you to tell us why you have stayed. Interestingly enough, we did not get as many responses. If I had to give a reason for that, I would say that it is much more difficult to answer why one stays versus why one became a fan. Finding an interest is more common than keeping one for years or decades, even. That said, out of those people who responded, we found similarities to why we have stayed fans. Many, many people mentioned the music and how the quality of the music remains high. Obviously, this is important since we are talking about being fans of a band. It also reminds me of the answer that the guys give when asked about why they continue to make music. They almost always say it is because of the love of music and their ability to write quality songs. I think that if Duran wrote album after album of not great stuff, most of us would leave no matter the other reasons we stay. The music is what matters most. Beyond the music, there is what Duran has given us and what they continue to give us. Many people mentioned the memories associated with Duran Duran and with being a Duranie. These memories are positive ones. In fact, Duran Duran has been around so long for some of us that they are a part of us and a part of our lives. Typically, they are something we have loved for so long that we simply cannot imagine not loving them and not having them and their music in our lives. In many situations, we connected emotionally to the music. It spoke to us and continues to speak to us. Often, the music has helped us get through tough emotional situations. Because of this emotional connection, it is next to impossible to turn one’s back to it. How do you walk away from something that helped you, that was there for you? The answer is that you can’t. Of course, in reality, Duran is still giving to us. They give us great music but they also give us tremendous performances that leave us so happy, so excited, and so ready to do more. That kind of “high” doesn’t just happen in real life. Thus, none of us are ready to walk away from it any time soon! Of course, they have also allow us a chance to be ourselves and to be part of a larger community. At a Duran show or on a Duran message board, we are all “fans”. We are no longer the typical roles we have in life. Rhonda is no longer just “Mom”. Amanda is no longer just “teacher”. We are just Rhonda and Amanda, fans. In this case, we are all just like everyone else as we are all fans. Nothing more and nothing less. We then form a community, a community based on a common interest. We are a community of Duranies. We all love their music. We may express that interest differently but we are united in that common love. Being a part of a community isn’t easy to walk away from ever. I, for one, am happy that Duran Duran is a part of my life and that I am a member of a larger fan community. I appreciate everything that they have brought to us and continue to provide, which is rather fitting on Duran Duran Appreciation Day! Yesterday, Rhonda answered the question about why she has remained a fan. Today, it’s my turn! One of the reasons she mentioned was how she is a fan because it is an escape from being a mom. While I’m not a mom, I, too, find myself in need of escape from real life (don’t we all?!). Most of my life is focused on some pretty serious stuff. Career wise, I have been a special education teacher for years. While that job isn’t easy anywhere, I am in an urban district at a middle school of poverty. While I have loved my students, their lives are not always easy and I often take their worries home with me (not by choice!). Then, outside of work, I’m pretty active politically as I have been working for and with political campaigns. This isn’t an easy gig, either, as I feel very strongly about candidates, laws, policies, etc. In fact, today, I’m a huge bundle of nerves as my state is going to the polls in six recall elections. (Go Dems!) Thus, most of my life is spent dealing with tough “real life” issues. Yes, I choose to do that because I believe that I can and should try to make a difference. I’m a sap that way. That said, I need a break, at times. I need something to focus on that is silly and fun. Duran Duran is that for me. Not only does Duran’s music often take me away from all of the stuff I deal with on a day-to-day basis, it has taken me physically away. In the name of going on tour, I have traveled so much more than I ever thought that I would and have seen so many more places. Since going on tour, I have seen great places like London, New York City, New Orleans, Vegas, and more. Their tours have given me permission, in a way, to vacation, to spend money on traveling. Without Duran, I would just be traveling to Boston or Raleigh, where my siblings live. This has made me realize that while I still hate flying, I actually enjoy seeing other places. I have learned a lot of about how to travel and gained quite a bit of confidence in my ability to do so. For example, I have always wanted to see England but never really thought it possible. Now, I’ll be there twice in a year! Insane! Of course, a big part of my enjoyment with traveling has to do with who I go with. My tours have been fun for many reasons. They have been great for the shows themselves (of course!) and I have loved seeing new places, but the real reason they have been fun is because of the company. In many cases, I have traveled with Rhonda. Duran Duran brought us together as we met at the Duran Duran Fans Convention in New Orleans in 2004. We barely knew each other before that as we had only “talked” via posts on a message board before that. We didn’t know if we were going to get along. Yet, we did. Now, I can’t imagine not having her in my life and I’m willing to bet that she feels the same way about me. (After all, we do have this blog together!) Beyond Rhonda, I have met SO many great people! Part of the reason I like going to shows away from home is that I get to meet people. How cool is it when you meet other people who feel like you do about Duran?! Then, in between tours, I have gotten to meet people online through message boards, twitter, and facebook. My life would definitely be less fun without all of the people I have met! Of course, at the end of the day is the music. The truth is that I still love their music. I love the classics like Planet Earth but I also love the new stuff! While they might irritate me at times and while not every song is awesome, when they do a song or an album right, it is REALLY right. Thus, Duran Duran has given me great, timeless music, forever friends, an escape from reality and the reason to travel! What a great combination! What about you? Why do you stay a fan? That’s really the question, isn’t it? 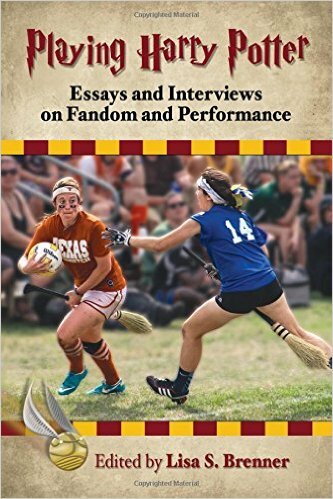 Amanda and I have been writing this book about fans…about the fandom…and the question that pops up over and over again is “Why do we stay?” Why have we been fans for over 30 years now? What is it about Duran Duran that keeps us coming back?? I wish I knew. I’d bottle it, sell it to new upcoming bands and make millions! While I think the answer to why we each became fans is probably very generic and simple (it’s the memory we each have that makes it so unique), I’m certain that our answers for staying are as varied as our personalities. To begin with, my memories of childhood are very good. I am extremely lucky in that I came from two wonderful parents. Yes, they were strict, but when I think of my dad or even of my mom, I have mainly good memories. They were married up until the day my dad passed away, and they truly loved one another. My home life wasn’t broken, I was safe, well-fed, clothed, and even happy. Duran Duran play a fair part in those memories. It’s impossible for me to think back on my bright green (yes green. Summertime Green, to be precise!) room with yellow furniture and the strangest shade of orange-brown carpet I’ve ever seen (and I wonder why I was always an insomniac….) without thinking of my beautifully self-wallpapered Duran Duran walls. When I think of the time I spent in my room (probably cleaning because my mom INSISTED that our house be vacuumed and dusted every single weekend regardless of what else we all had going on), I remember my trusty record player – the one I begged and begged for until my parents finally caved in and gave me the old one from our family room – and how I would play records until either my sister started complaining about my choice in music (Duran Duran of course) or my dad finally came in and shut it off. I can remember riding in my parents car just about anywhere and hearing Duran Duran come on the radio. I would always squeal in delight, and my sister (she is 5 years younger) would simultaneously groan and begin complaining in an attempt to convince my mom to change the station. This would then grow into an argument – meaning I wouldn’t even HEAR the song – until my dad would get mad, snap the radio off and tell us both that if he heard one more word out of either of us, he’d pull the car over “and come back there.” Nothing good happened when that occurred. Yet I’m still smiling at the memory. So I suppose that yes, a good portion of why I still love the band has everything to do with the memories I associate with Duran Duran while I was young. They’ve really been the background music in my life (our lives) for a long time now, haven’t they? As anyone who has been reading the blog knows – I’m now married with three children of my own. I was married fairly young – let’s see here – I was 24 when we got married in April of 1995. Looking back, I had absolutely no business getting married at that age. I hadn’t even had the chance to experience life on my own yet. In fact, I moved from my parents home right in with my new husband. (actually, we moved in together 3 months before our wedding but his parents still don’t know that to this day! shhhh!! Ha ha!) I’d been out on my “own” during college; which really doesn’t count because I lived in the dorms and then in my sorority house for a school year. Not really the same as paying for an apartment or buying a house. I’d never traveled on my own, I’d never really been responsible for my own budgeting, and I’d certainly never bought anything big on my own. I did have a car – but my parents had bought it and I was just making the payments, but the fact is – I don’t think I’ve ever really been on my own. Then a year into our marriage I decided that I was ready to start a family. (a gross overestimate of my abilities at the time…) Before long I was knee deep in diapers, bottles, laundry and motherhood. During this time, I can almost say that Duran Duran was nowhere in my thought process. In fact, none of my own hobbies or interests were in my thoughts! I grew increasingly tired of “just being a mom”. I hate saying that, but you know – I couldn’t stand the thought of just doing play dates and discussing the merits of Tide vs. Gain (different laundry detergents – for my friends outside of the US. ), or talking about what preschool my kids were going to attend. I tried making it fun by getting involved with local MOMS Club, but I was the mom who insisted on setting up Mom’s Night Out at the local clubs. The other moms didn’t really “get” me, and quite frankly – I didn’t get them either. I didn’t see the point behind embracing PTA with a vigor and never doing anything without a child in tow. I needed more. I needed ME. I grabbed onto the internet with a death grip, found all of the music I’d been missing over the years, and my husband made the slight miscalculation of taking me to a Duran Duran concert – my first one since 1993. My interest was indeed piqued. Then the reunion happened, and I nonchalantly suggested to my husband that we attend the 78-03 shows in our area. (actually the truth is that I fell over a chair and have scars on my legs to this very day from trying to run from our then computer room out to the garage to scream at my husband that the band was playing a show as the “Fab 5” for the first time since the 80’s – and the show was in Costa Mesa near our house!) Sadly for him, he agreed. Our lives have never been the same since. My Duran Duran life is full. My husband might even say it’s overflowing, but I’ve really never been happier. There are some things I wish I could change – for instance the fact that the people I most want to see live a good 2000 miles from me, and in a few more cases they are overseas. (and I’m not just referring to the band!) Overall though, Duran Duran has become my escape from the pressures of being Mom. I’m the most “me” when I’m writing the blog, talking to friends or going to shows. I am rarely without a smile on my face during those moments, and for me, they’re special. Sure, the last year has been a trial at times. Going to the UK in May only to be completely blown out of the water really sucked. I think the band would agree. Knowing that my touring during the fall has to be curtailed so that I can fly out to the UK again in December really bites too, but that’s OK. I suspect that if I could really do it all – both financially and time-wise, none of it would mean as much. This time is precious for me and I’m enjoying it as much as possible. How we became fans! Part 3! Rhonda and I completely appreciate those of you who have shared your stories about how you became fans and welcome more stories. As I read over all of the stories we have received via facebook, twitter or here, I couldn’t help but notice that there are some common themes in them no matter if people became fans in 1981 or in 1993 or in 2004. First, most people mentioned a specific song or video that did it for them, usually one heard on the radio. This song or video grabbed attention and demanded that the listener/viewer ask for more. Many fans then went ahead and searched out other songs/videos/albums. While I’m not surprised by this, I have to admit to being pleased by it. It seems to me that we became fans, that we became Duranies because of the MUSIC. While this seems obvious, it just reminds me that we genuinely liked their music. It wasn’t that we saw their pictures on the cover of a magazine that made us fans or even heard an interview on an entertainment show. It was the music. Perhaps, this is the reason that we have all stayed. We will look at that next week. Second, most people talked about the videos and how they often reinforced their interest. Many people talked about how they fell for the fantasies they provided, the escape from their dull lives. We, too, wanted to travel to exotic locations and have James Bond like adventures. At this point, people did mention the good looks of the individual band members. It seems that their attractiveness just added to their appeal but it wasn’t the only thing, which is not what music critics thought then. Everyone assumed that we became fans because the boys were cute. Yet, based on this, that is completely untrue (not that we didn’t know that before!). While on the topic of videos, a number of people mentioned watching MTV and Friday Night Videos. These video shows as well as listening to the radio are no longer common means of kids finding music. As a child of the ’80s, I can’t help but feel sorry for kids these days. Of course, as people dived into fandom, most began to buy teen magazines that featured Duran and put up posters in their room. They often bought strange merchandise like school folders. I know that both Rhonda and I had Duran pajamas. That’s how cool we were! We began to show our fandom openly with our posters or with the buttons on our jeans jackets. We were proud to be Duranies and it seemed that we wanted everyone to know! The last common theme that most people talked about was that emotional piece. For some people, being a Duranie connected them to friends or family. It was something that was shared. It was a part of important relationships. For others, the music provided an escape from unhappy or tough situations. The music and the videos took them away from reality even if it was just a few minutes at a time and this escape could be essential to surviving, emotionally. I’m sure that every fandom has themes like ours. Duranies seem to share common experiences in terms of listening to the radio, watching videos and having an emotional connection to what we heard. These common experiences have led us all to be the Duranies we are today. How we became fans! Part 2! In many ways, my story about how I became a Duranie isn’t that different from Rhonda’s and probably not all that different from any Duranie out there. Like Rhonda, I was near a major city when I became a Duranie as I was living in the south suburbs of Chicago. I, too, had a radio station that I listened to frequently (B96) and got MTV at some point in the early 1980s. I also had some cool friends. My story as a Duranie really begins in 1984 when I was 8, going on 9, as I’m a bit younger than Rhonda. 😀 I do remember hearing many of their songs on the radio in 1983, including their new singles like Union of the Snake and New Moon on Monday. I liked them just fine, but I wasn’t a Duranie quite yet. I needed two big pushes for that to happen. The first push came in the form of my best friend at the time. We were constantly together, which is pretty impressive as we didn’t go to the same school and couldn’t easily get to each other’s houses as a major street separated us (which also separated the school districts). Luckily for us, though, our parents got along and were pretty accommodating when it came to driving us. My friend and I used to listen to the radio when we hung out. One of our favorite activities was hanging in my backyard and taking turns swinging (I had one swing in the backyard). There we would often talk about the music we were listening to. One night, we heard Save a Prayer and I literally could not get the chorus out of my head. Could either one of us tell you that it was by a band named Duran Duran? Nope. It was funny to us, though, that I kept singing it and singing it. We vowed to pay attention the next time that song was played. Strangely enough, I don’t remember who learned the band name or even if it was connected to Save a Prayer but I do know the next song to catch our attention: The Reflex. Like many kids, my best friend and I used to spend the night at each other’s houses, especially on Friday nights. In my house, this meant that we would crash in the room we called the toy room (in reality this room housed the laundry and my mom’s art studio as well as my toys). There was a very small TV that we would watch. Again, like many kids in 1984, we tuned into Friday Night Videos. At some point, they started airing a new video by Duran, which was the Reflex. We fell in love with it. Seriously. We were obnoxious about it, too, as this was around the same time we got MTV, which acted as my second push to being a fan. From that time on, we tuned into MTV and Friday Night Videos as much as we could to catch a glimpse of this video. If we were not together, we would literally call each other on the phone to tell the other that it was on. Strangely enough, this really isn’t that much different than calling, texting or emailing your Duranie friends to alert them to new tours or album news. Of course, from this focus on videos, we discovered the old clips and fell in love with all of them. At this point, the Reflex was a number one hit and we, officially, started calling ourselves “Duranies”. From this point on, our friendship was focused on Duran Duran. Our sleepovers consisted of watching Duran footage, which including their videos and eventually Sing Blue Silver once VCRs came out. When our mothers forced us out of the house to go to the grocery store, we went to see what the latest issue of Bop or Tiger Beat had on it. In some ways, we competed with each other as it was exciting to see who got the newest poster or a paperback book that described the band’s “long” history. We ate up all of the information we could and tried to outshine the other with who had the band member’s birthdays memorized or who knew the kinds of cars John Taylor liked. That’s another thing. We both loved John. I tried to like Simon for awhile but that didn’t stick. You might be wondering if that caused a problem for us. It didn’t. We were cool about it since it meant that we both had good taste! We could both *squee* over the same pictures or the same facial expressions he made in the videos. In this way, we reinforced each other’s fandom. So, what about the rest of you? What is your story? How and when did you become a fan? Rhonda and I appreciate those people who have already shared their stories but we definitely want to hear more. Keep ’em coming! As a fun little aside to the normal day-to-day, Amanda and I decided to each tell our story about how we became fans. Yes, that means we’re subjecting the rest of our little blog-reading world to our lovely little tales. Today it’s my turn, tomorrow it will be Amanda’s. Enjoy! Back in 1981, I was an awkward little tween by just about anyone’s description. No, I didn’t wear glasses and I didn’t have braces, but I had the biggest hair ever (and not because it was the style, but because I didn’t know enough to use conditioner and contain the frizz! ), I wasn’t allowed to wear make up yet, I had zero…and I mean ZERO… fashion sense, and I was in 6th grade. I was a young 6th grader in that I had only just turned eleven by the time January 1, 1981 rolled around. As I’ve mentioned previously in lots of other blogs, my musical taste was pretty limited. I cut my chops, so to speak, on Disney records (give it up for Winnie the Pooh and Disney Disco albums my friends!!) and a few K-Tel compilation efforts. I did have brief, fleeting affairs with Shaun Cassidy (I always wondered what the lipstick on the coffee cup for his “Room Service” album was all about…) and Rick Springfield (I was a sucker for the dog, what can I say? ), but all in all, I didn’t really have the first clue. Or the second! One evening, as I recall, KROQ would play the new music. The DJ would make a big deal out of it and play a new record that no other radio station in the area would DARE play because it was so new. They called it “New Wave”, and aside from that, I really didn’t know much other than I liked whatever they’d play. On this one night, Rodney on the ROQ mentioned that he was playing a song from the new group, Duran Duran. I remember thinking the name sounded so completely lame that no one would ever remember it. Ha! Live and learn….the stupid names tend to stick with you! I turned the radio up as loudly as I could without drawing the attention of my parents, who were sticklers for my 8:30 bedtime and I was pushing it. (no that’s not a joke either. I was 11 and had a bedtime earlier than my own 3 year old!) I heard the beginning chords of Planet Earth, and I was immediately curious. I loved the way the keyboards sounded, and it was clear to me right then that I needed to find out who this band was, and hear all of their music. I remember going to the trouble of taping their song off of the radio with my super classy cassette player/stereo combo – that cassette was full of static, but you know – it was Duran Duran! The next day I hurried through breakfast, grabbed my books and my clarinet, and set off to school earlier than normal. I rushed to my locker, through my books in there and found my little group of friends – who were every bit as awkward as I – and told them about my new found interest. Curiously enough, I wasn’t the only one listening to the radio that night. My friend Marsha had also been listening, and it was agreed that I would spend the night at her house that Friday night, and we’d go to the record store in search of Duran Duran! I am completely ignoring the fact that there are all sorts of dates being thrown around on Facebook and DDM at the moment – so don’t even talk to me about them. Yes, I know the impending tour announcement tomorrow is terribly exciting, but I am absolutely not ready to even consider them, so I’m not. Yes, I know they’re playing Atlantic City over a weekend (or so the rumors say)….I know I’d like to go. I also know I’m married, I have three kids, and I have no time, money, or any more of my husband’s patience… for such trips. So, with that in mind, I’m changing the subject! I went to see another concert this weekend – Johnny Vatos and Friends – at the Brixton in Redondo Beach. To begin with, the Brixton was once called Fashions back in the 80’s and 90s, and it was a great little dance club. Friday and Saturday nights were KROQ nights with Richard Blade spinning tunes, and I loved the place. I practically lived there during my college years, and it was also the place I met my husband. Going back to the club on Saturday night was definitely deja-vu for us, but going to see Vatos in such a small club was exciting as well. For those who are unaware or don’t know – Johnny Vatos was the drummer for Oingo Boingo, and he put together a tribute band of sorts, except that this “tribute” band is made up of members from the old group, as well as some new friends he’s made along the way. The only person really missing is Danny Elfman, and he’s someone I’ve never had the luck or good timing to ever see in person or see live at a show. That said, we take what we can get and have a great time. In my defense, and yes – I really have one here – I never knew Danny Elfman had a brother, much less someone who looks remarkably similar to him. I wish my darling husband had taken the moment BEFORE my little faux pas to tell me that the guy in front of me looked a lot like Danny to him, and that he’d actually been thinking that he must be an Elfman – and probably his brother – but I digress. I also still think the guy was incredibly rude to just come up and stand in front of me without any kind of a “hey I’m sorry but do you mind if I just stand here a second – I used to be in the band and just want to say hi”, but you know, I’m just a little person. A fan. I wish I’d have recognized him, but you know – he looked like any other person to me that night. All I could think about was that 1. I was glad it wasn’t Danny Elfman and that I didn’t open my big mouth. 2. That I wasn’t at a Duran show and that it wasn’t a member of Duran. 3. That it wasn’t Danny Elfman. Wait. I said that already. You see for me, Elfman is a god of sorts. He’s one of the very few people on an extremely short list that I would never want to actually meet because I don’t think I’d be able to speak. I’d have absolutely nothing of any substance to say beyond “I really appreciate your work”, and I’ll bet he’s maybe heard that a time or two. Am I the only one who dreams about Duran and/or about touring? Tell me I’m not. I’m not that much of a freak, am I? The dreams related to Duran seem to fit into certain categories: 1. Fans/Traveling. 2. Shows themselves. 3. Seeing the band before or after the shows. In this past week, I have actually had 3 Duran related dreams!! That’s crazy! (Do you think that is a sign that tour dates will be announced or that I’m insane? Don’t feel like you have to answer that one.) The first dream I had this week fit in the fans/traveling category. I dreamt that I was at the first UK show that Rhonda and I are planning on attending. We met up with a bunch of people and were all walking to the show together. In the dream, I remember holding all of the concert tickets in my hand. Is this a sign of excitement? Some anxiety about the tickets? I don’t know. We generally seemed to be having fun. I remember talking about how much the tickets cost with my friend, Robyn, which is weird since she isn’t going to those shows. Then, I realized that Rhonda wasn’t there for some reason. It didn’t seem like she was gone or not in the same city just not with the group. The second dream happened last night. In this dream, Rhonda and I were with another friend of ours and someone new. It was like we were training this new person about to tour or something. As we walked through a parking ramp, it started to flood and water was everywhere. People’s belongings started traveling by us. We decided to grab things that were cool to keep. Not sure why. Then, we got to a house and we came to the conclusion that we should be leaving everything there and not take anything with us. We weren’t going back. We weren’t going home ever. There seemed to be mixed emotions there. Yet, we weren’t going to give up touring, which is what I think we were supposed to do. Then, just this afternoon during a nap, I dreamt about being on a train in England that was filled with Duranies. This train wasn’t normal, though, as it traveled through water, up stairs, etc. We were just getting to our destination when I woke up and I was mad about that! I still didn’t get a show! Beyond these recent dreams, I have had many other dreams. Some of those dreams have been of shows themselves. Most of these shows haven’t been normal. Once I dreamt that they were playing a whole show of James Brown songs. During the songs, huge James Brown heads moved across the stage. What was weirder about this dream is that the venue was a Kmart, the old store. I have had a number of dreams where the band is playing in a school, either a gym or in an auditorium. More often than not, they played in a gym. This one always made sense to me. I have been a teacher for a long time and I’m sure this was a way to bridge these two worlds together. Why did they play in a gym more often than not? My school doesn’t have an auditorium. Strangely enough, none of these shows ever took place at my school, just similar schools. As for dreams with the band, again, I don’t know that my dreams are very common. I had one dream where I was in a hotel with some friends and saw Roger head to the bar after the show to get a drink. What did he order? A strawberry milkshake. Seriously, WTF?! The last dream with John was not normal, either. In it, he was organizing roommates for tours. I was standing with this group of fans and we were waiting to get matched up so that we didn’t have to pay for a room by ourselves. The thing that really stood out to me in this dream was the diversity of fans. Everyone came from a different country and I kept wondering how we would be able to communicate. I’m sure over the course of my life as a Duranie, I have had a ton more. I guess it shows that being a fan, being a Duranie is a part of my life, that it does take up a part of my brain. What about the rest of you? Any Duran dreams that you wanna share? Lots of great clips were shared! I was happy that there were some that I had never seen before, which is pretty rare. I really enjoyed watching Simon’s 50th birthday gift, Pop Quiz from ’84, A Day in the Life, old interviews, Nick’s stolen moments and more. On this challenge, there weren’t many people who repeated the same response and I think that is very cool! I hope that everyone got a chance to enjoy the clips that were shared as much as I did!